Thank you for taking a break from your busy schedule to visit our web site. Five Star Moving is committed to honest work and being involved in our community. We know that moving is stressful, so our company has spent over a decade in learning how to make relocating easier for you. So, what sets us apart from other Las Vegas Moving Companies? Since 2002, Five Star Moving has offered affordable moving services to our customers providing personalized service that makes our customers feel more like family than a mere client. We offer a level of trust and care that other professional movers can’t touch. We put our clients needs first, and our crews are available by appointment seven days a week. So whether you’re moving across town or a few miles away, our team is fully equipped to handle your job with expert care and you can rest easy knowing your belongings are in good hands. Five Star Moving is a Labor Only Moving Service. This means we can provide the muscle for those heavy items you just can’t get on your own. Labor only is like a full-service move but without the truck. We can load and unload just about anything including rental trucks (Uhaul – Budget – Penske), storage units, Pods, ABF trailers etc. With a labor only move you save a lot of money, but you will be responsible for renting/paying for the moving truck. Also, due to the state of Nevada’s rules and regulations we are NOT aloud to drive the rental truck. If you don’t feel comfortable driving the truck yourself, you will need to have a friend or family member pick up the truck and drive it for you. Many of our customers find this a very affordable alternative. Labor only provides tremendous value with no hidden fees. We are the best Las Vegas Movers in town! Unfortunately we have seen people suffering from dishonest and shady moving companies over the years. We promise you will get exactly what you are looking for. Moving doesn’t have to be a stressful experience, if you have the right people working for you. To learn more about our service and schedule your appointment, give our office a call or fill out the request a quote form. We put the professional in moving! Moving Day Tip. Packing and being prepared for moving day takes longer then you think. Start getting prepared a month before. Collect boxes start packing the belongings that are not everyday use. Do a little everyday so that you’re not cramming last minute. If you have everything packed and ready to go, it makes it easy access for the movers. The quicker we can get you moved, the cheaper your move will be. Labeling boxes and where they go on the unload also saves a lot of time as well. Remember moving ranks in the top three stressful things you will do in life. Five Star will do our best to make your moving experience positive and the least stressful as possible. Thank you to Craig and all the crew for helping to make our moving day much easier and faster then we ever expected. The crew was professional and personable. They did a great job making sure all the furniture was protected and well taken care of. I would recommend your service to anyone looking for exceptional help and great customer service. You guys are the best – thank you!!! 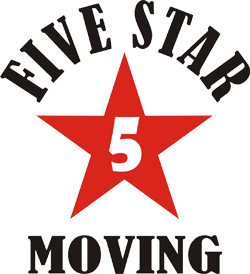 We highly recommend ‘Five Star’ movers!! They are phenomenal! Craig and Jordan arrived early and were prepared to the point of putting the Boy Scouts to shame. They are true professionals. Great attitudes and outstanding service. They made this move an easy and effortless experience. 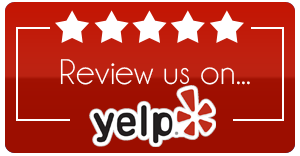 We will recommend them to EVERYONE we know without hesitation. Thank you Five Star! !